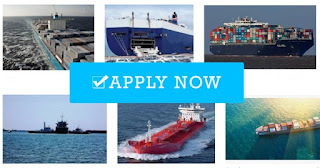 SEAMAN JOB INFO - SOLPIA MARINE is urgently needed Filipino ship crew (Poea license: Poea 007~SB~022114~R~MLC) work on oil tanker, bulk carrier, container ships deployment January 2019 with same vessel experience required. C/CK (Korean cuisine) - w/ U.S. Visa, 1st week dec.
A/B - with Korean officers before. Solpia Bldg. 2019 San Marcelino st. cor. Quirino Ave. Malate Manila. 0 Response to "Hiring Crew Tanker, Bulk Carrier, Container Ship Join January 2019"